Posted February 18th, 2019 by TheBuzz & filed under News from our Advertisers. 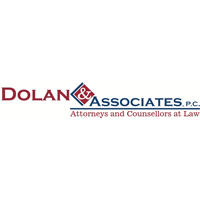 Offered by: Michael A. Dolan – Dolan & Associates, P.C. Mary had an attorney draft up some estate planning documents. She placed them in her safe deposit box. When her children came to Christmas dinner, she proudly told them that she had met with a lawyer and her estate is “All Taken Care Of”. 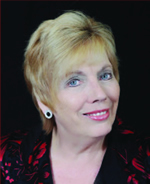 Mary took a critical step towards having an estate plan that would help things go more smoothly on her death. However she, like many people, led her kids to believe that because she had some documents upon her death there would be nothing else to do. Look at it from the perspective of the children. They took their mom at her word, that it’s “All Taken Care Of,” and unfortunately assumed that there was nothing to do upon her death. This is a critical mistake many families make. The reality is that there is a lot to do when a person dies. There are no magic documents that miraculously take care of things. Someone has to do something at the time of your death, and it’s usually family members. Most family members don’t know what to do, how to do it, or understand how they should pay for the assistance they need. There is a 100% chance you’re going to die. And, there is a 100% chance that someone will need to do something after your death. If things are going to go smoothly and effectively after your death, you must take steps to prepare your family. Prepare them to know what to do, how to do it, and how to pay for it. Remember, estate planning is a process of preparation prior to your death. It is not getting a certain type of document. By taking the time to prepare, you can assure that the process will go more smoothly for your family. If you would like to learn more about an alternative estate planning process that is producing great results for families, visit: www.EstatePlansThatWork.com to sign up for a complimentary educational workshop. We all work hard to provide for ourselves and our families. And we all want to take care of our family and loved one’s temporal needs. As we attempt to save and make wise investments, we meet many challenges in today’s world, such as: Market Volatility, Corporate Bankruptcies, Trade Wars, Federal Reserve Interest Rate Increases, War, and even catastrophic weather events. It may seem overwhelming. However, there is one thing that we all know we can bank on: there will come a day which will be our last. And that knowledge can be the one fact, we may be able to use to ensure our family’s and loved one’s financial security, if we act soon enough. Everyday which passes is another day which will increase your life insurance premium. Waiting may substantially reduce the amount your beneficiaries may receive. Worst case, you may become disqualified for life insurance because of a medical or health change if you wait too long. Please don’t let that happen to your family! With all the life-insurance products available today, there will be one to fit your needs. Why not prepare for the future? And take care those whom you love and care about with an investment which will be guaranteed to pay forward many times over what you invest? And provide it to them tax free? And with a company you know and trust? It will help give them options in life; and they will be sure to think of and remember you always and often as they know their future is insured. Do not hesitate! 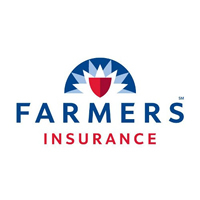 Call today 303-558-0653 to get the coverage you need at a premium your budget can afford. Posted February 15th, 2019 by TheBuzz & filed under News from our Advertisers. Whether you are spending hundreds or thousands on your mattress, it is a long term investment. Experts say you should replace your mattress every six-eight years, but we all know that some of us push it to 10, 15 or 20 years. What dictates how long a mattress lasts and what can we do to protect that investment? Just like a house, a good foundation is key to protecting the structure above. If you are using a 20 year old box spring, you may not be providing the strongest, flattest foundation. The springs used in the old “box springs” will start sagging as well as the wood frame surrounding them. Most of the new box springs don’t actually have springs in them. They are just constructed of wood, surrounded by fabric. The new term for these are “foundations.” How fitting. So, if you are buying a new mattress and are considering using your 20 year old box spring, think again. Another problem is the lack of wood slats in the bed frames. Make sure, if you are using a frame with slats and no box spring, that there are no more than 4” between slats or else the mattress will start to sag between the slats. Other good foundations to use are platform beds, adjustable bases or even just the floor although I don’t necessarily recommend the latter. Another variable that stresses a new mattress is body weight. Even though the standard warranty for most quality mattresses is 10 years or more, even the best mattresses may start sagging after two or three years for individuals 250 lbs. and up. One thing you can do to help with this is to rotate your mattress occasionally so you are not sleeping in the same spot every day of the year. The final variable that I will be discussing today is the uncomfortable issue of perspiration. 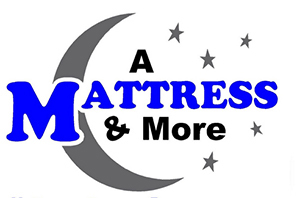 Perspiration accelerates the deterioration of most mattress foams. We know it is inevitable, but we can help prevent perspiration from penetrating into the mattress. The new mattress protectors help prevent perspiration, spills, allergens and dust mites from entering the mattress while still being breathable, soft and quiet. No more plastic covers with which to deal. Hopefully by following these suggestions you can enjoy that new mattress for many years to come. 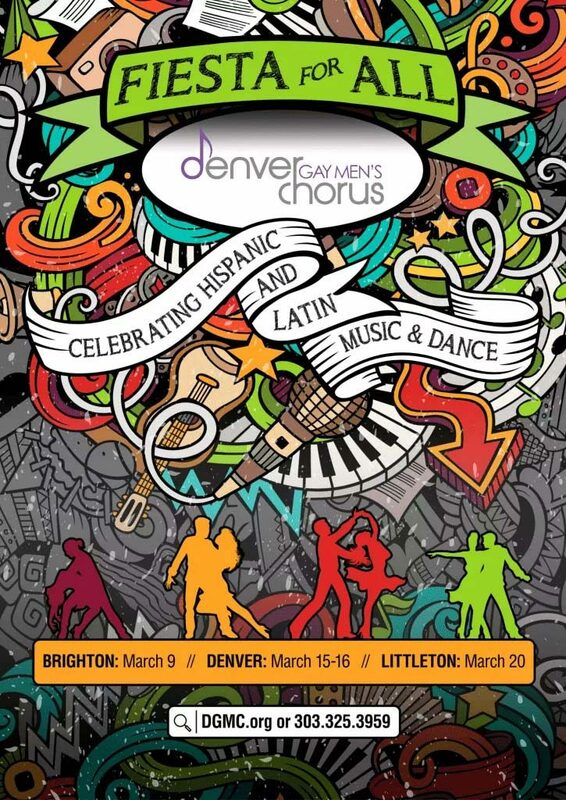 The Denver Gay Men’s Chorus returns to venues throughout the Denver metropolitan area with a high-spirited celebration of great Hispanic and Latin artists. Fiesta for All will spotlight Hispanic and Latin heritage and the colorful and moving impact this special music and dance has in our communities. Audiences will enjoy a fiery retrospective of the sounds and flavors of Latin America and Spain including: Spanish and Mexican folksongs; Mariachi tunes; Tangos of Argentina; and Salsas of Brazil and Cuba. The Denver Gay Men’s Chorus will be joined on stage by an eight-piece band and twenty colorful dancers to perform popular hits, including “Let’s Get Loud” by Gloria Estefan; Consuelo Velázquez’ romantic bolero, “Bésame Mucho”; “Remember Me” from the movie Coco; Ricky Martin’s high-energy “Livin’ La Vida Loca”; and the classic ballad, “Gracias a la Vida” by Chilean artist Violeta Parra. And, keeping with our mission of Building Community Through Music, Fiesta for All will include collaborations with Ballet Folklorico Baile Caliente, Grupo Semblancas de Mexico, Museo de las Americas, the Mexican Consulate and the Mexican Heritage Center. So, Let’s get loud! Turn the music up to hear that sound! Join the Denver Gay Men’s Chorus for Fiesta for All at the Armory Performing Arts Center in Brighton on March 9th, or see them on stage at the Ellie Caulkins Opera House March 15th and 16th in Downtown Denver, or in Littleton at the Falls Event Center on March 20th! For more concert details and to purchase tickets to any of the March 2019 performances, visit dgmc.org. Posted February 14th, 2019 by TheBuzz & filed under News from our Advertisers. This year has seen its share of issues from the new tax forms and changes in deductions to federal employees working without pay or sent home waiting for the government to reopen so they can get back to earning an income. This has many people stressing about filing their tax returns – but we can help! Our staff of professional tax preparers have the training and expertise to make the most of the new changes. And now, you can also count on our upfront, transparent pricing. You now can know your price, before you begin – no hidden fees. If you are one of the Federal workers that has been impacted by the government shut down, we want you to know that we are here for you. Come in to our office with your government I.D. from one of the affected departments and your Simple 1040 Federal tax return is FREE. More complex returns will receive a $60 discount. Finally, ANY new client to H&R Block will receive $20 off with this coupon (please see our ad). And, to make it even easier to complete your tax return with us, you won’t even have to pay for your return up front if you are getting a refund. We can take our discounted fee out of your tax refund once the IRS has it processed with a Refund Transfer. It’s just our way of saying “Thank you” for the service you provide our country. Don’t wait! 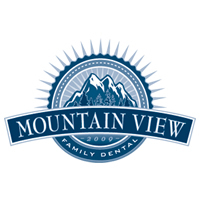 -Call one of our offices and make an appointment today! Posted February 13th, 2019 by TheBuzz & filed under News from our Advertisers. Love is in the air every day but Valentine’s Day is another day to celebrate the one you love. 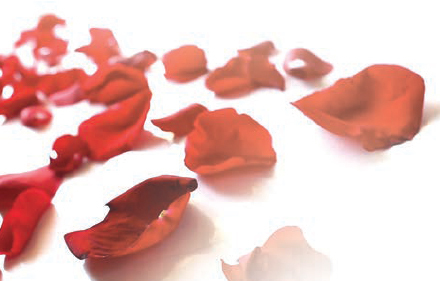 Why not let the Rippy Agency help make this Valentine’s Day even better! Call or text us at 303.219.1470 for a quote and you’re entered to win two tickets to Comedy Works! Get a quote on your auto, property or life and you will be entered to win $50 for dinner as well! Life insurance is the last love letter you will ever write. It means you loved the person enough to make sure they were ok if something unexpectedly happens to you. We can help put a plan in place to take care of high needs (mortgage, children, college, debt, etc. ), we can secure a lifetime plan that has cash value growing tax free and allows you to withdraw cash or take a loan out, or we can assist with a final expense policy that will do just that – take care of your final expenses and still be affordable protection for your family. Let me know a good time to meet and we can get something scheduled. Whether it’s at the Rippy Agency, a coffee shop or your kitchen table, I am here for you! The New Year is a good time to make sure your coverages are adequate for a potential loss and that your assets are covered. Most people shop for insurance after a bad experience with a claim or an agency. Don’t wait for a loss to occur to find out you have the wrong coverage. Call us today so we can help protect your tomorrow. The new year is upon us, and with it, your newest bundle of dental insurance benefits! If you didn’t have a chance to maximize your plan’s benefits last year, be sure to do a little planning this year so you don’t lose a single dollar! Many people aren’t aware that a defined benefit amount is given at the start of every year, and that it’s lost at the end of the year if not used. Your best course of action is to plan ahead. So, here are three simple steps to help you capture all your benefits this year! Make your first cleaning of the year sometime in the first quarter. Should you need to follow-up procedure, be sure to schedule it early in the year. Speak with your dentist about procedures that may require wait times in between the work, so you can plan accordingly. Sometimes, it may make sense to straddle your visit across two years to fully realize your dental benefits. By starting the year off early, and working with your dentist to develop a solid plan of action, you won’t leave a single dollar on the table this year. Good luck! Posted February 11th, 2019 by TheBuzz & filed under News from our Advertisers. Thornton, CO – This February, jewelry shoppers have another reason to hope for snow. In compliance with the National Weather Service, Thollot Jewelers will refund any jewelry purchases made between the dates of February 1st through February 14th by participating customers if it snows three inches or more on February 24th. The snowfall will be measured at Denver International Airport between the hours of 12:01 AM and 11:59 PM on February 24th. The Thollot “Hope for Snow” promotion provides an added and fun incentive to customers looking to purchase jewelry as gifts for loved ones this Valentine’s Day. The chance that a jewelry purchase will be refunded in the event of snowfall is an exciting twist to the annual hopes for snow in the area, and from February 1st through 14th, all customers are eligible to participate in the promotion. For those lucky customers who purchased their jewelry within the qualified sales period, three inches of snow on February 24th means Thollot Jewelers will retroactively refund their purchase while the participant keeps the jewelry at no cost but the sales tax. 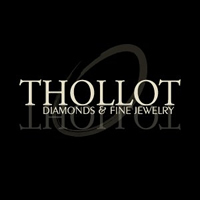 In order to participate, visit Thollot Jewelers at 3790 E 104th Ave, Thornton, CO 80233 for your Valentine’s Day shopping in the coming weeks and make your purchase in full by February 14th. By consenting to the terms and conditions of the promotion in store, customers are agreeing to finalize their purchase and to roll the dice for a winter’s miracle! Posted January 30th, 2019 by TheBuzz & filed under News from our Advertisers. With 2018 behind us and a fresh year ahead, many people find themselves creating resolutions. Some people focus on physical and mental health; others focus on financial goals. 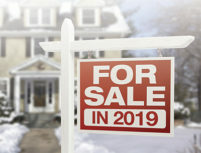 If any of your resolutions relate to buying a home in 2019, these are some tips to get you set up for success. A great way to prep for a new year, in general, is to work on decluttering each room in your home. If you start this process now, you won’t feel rushed and overwhelmed when the time comes to move into your new home. Additionally, you can find time to sell valuables that you don’t want to keep, or find a quality non-profit for donation. Take a look at your income and your monthly spend so you can create a realistic budget. Looking at all aspects from household bills to entertainment costs gives you a full picture of your current lifestyle, which may shape the houses you look at to purchase. Remember, even if you are qualified to purchase a home for $650,000, if your lifestyle affords a $350,000 home, it’s best to stay in that range. Taking the time to create a budget will allow you to trim the spend on unnecessary things, while allowing a surplus to be saved for down-payment or to fund moving costs. The first thing you’ll need is your most recent credit report. Contact the credit reporting agencies if you find any inaccuracies and ask them to be removed from your report. From there, you should focus on paying every bill on time, and limiting increases in debt. Most importantly, once you are qualified for a home loan, consult your lender and REALTOR before opening/closing any additional credit lines, changing or quitting a job. Stability is extremely important when determining a home loan, and you don’t want to find yourself scrambling if something within your control changes. If you have questions about buying a home, it’s important to have a resource you can trust. Call me at 720-422-9320, and I’d be happy to walk you through the process so you know exactly what to expect. Additionally, we can discuss timing and market conditions so you’re able to make the move when its best for you.